With China tightening the noose around Internet policies with each passing day, it’s really important for all businesses operating in the country to keep their websites optimized to be in line with the latest policies. It might be quite daunting to maintain your website to match the demand of China’s uber-strict policies but search giant Baidu is ready to give it a try. 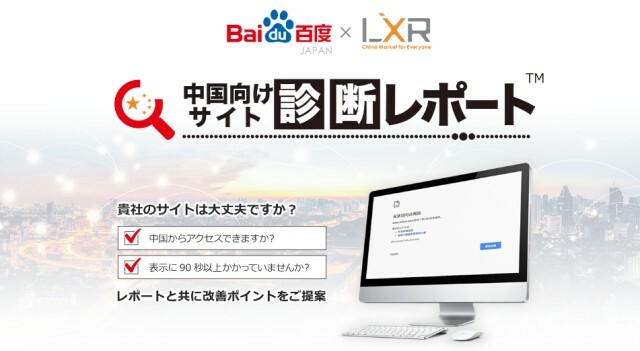 It has released a diagnostic tool for willing Japanese businesses, who’re interested in expanding to China, to bypass the Firewall without breaking any laws. This diagnostic tool doesn’t give you shallow results, only telling you if your domain will be allowed to operate in China or not. Instead, it analyses not only the domain but also all the underlying code to reveal even more surprising insights about your website. It tells you if your website is granted access within China and if the code is compatible with the government’s Internet norms. Chinese search giant Baidu, which is the primary force behind this tool, also tells you if the platform you’re checking is loading slowly or failing to display content. This feature also filters out the syntax that isn’t compliant with the country’s policies, making it easier to get your website compliant with Chinese internet regulations. For example, I decided to check what’s the current status of Facebook in China and found that the website was banned in the country. But, it also added that the Chinese compatible code (which was previously used to help the netizens) was still compatible. A similar result was seen for micro-blogging site Twitter as well. Google, on the other hand, fails both the tests and might not be allowed in the Chinese territory anytime soon. It is free to check whether a platform is available for use within Mainland China, but you’ll have to shell out $3090 to complete an in-depth analysis of your website. It’ll send you a report on how your website is going to perform in China along with a few suggestions for alternatives to popular services such as Messenger and YouTube. This tool would come in really handy for a large number of Japanese websites that want to take advantage of the sharp increase in the Chinese traffic.